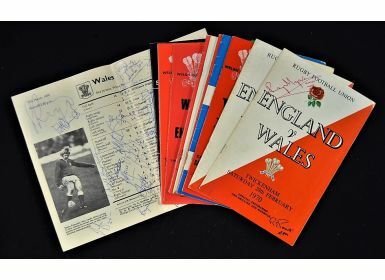 1970-1979 Wales Rugby Programmes, some signed, from 'Special Occasions' (14): England v Wales 1970 (2, one signed to cover by super-sub Ray 'Chico' Hopkins on his one Wales appearance, the other by lots of players inc full Wales team); 1971 all 3 Triple Crown games; 1972 England v Wales (JPR, with ticket); 1978 all 4 Grand Slam games (France with 2 tickets); 1979 all 3 Triple Crown games (4th consecutive Triple Crown) and an extra copy of Wales v England, with many signatures. 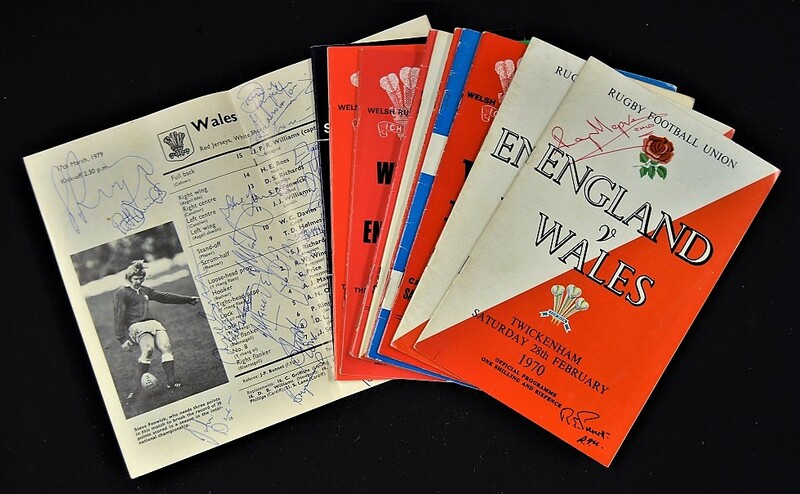 Magnificent memories augmented by the autographs. G/VG.